In the spirit of ideas worth spreading, TEDx is a program of local, self-organized events that bring people together to share a TED-like experience. At a TEDx event, TEDTalks video and live speakers combine to spark deep discussion and connection in a small group. These local, self-organized events are branded TEDx, where x=independently organized TED event. 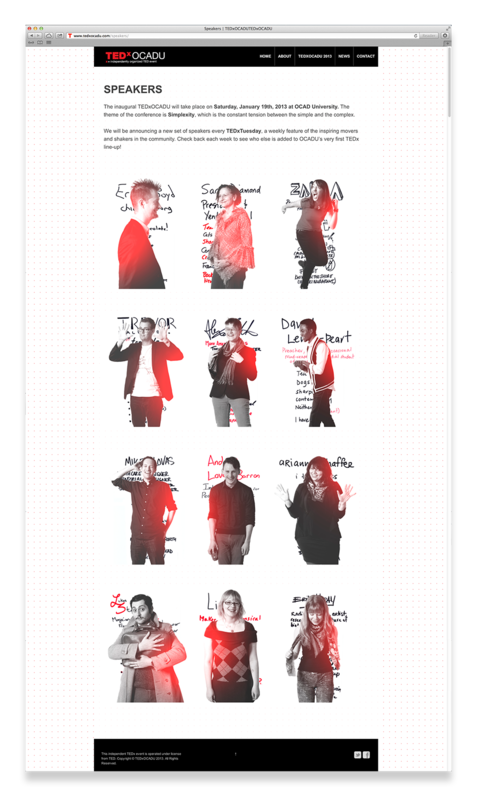 This year marks TEDxOCADU's inaugural event. 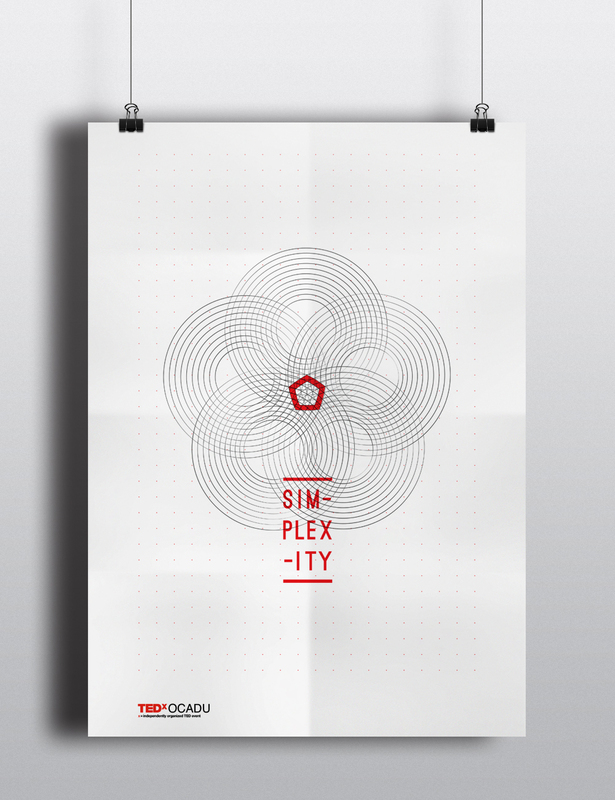 The theme "Simplexity" was chosen. It is the balance between simplicity and complexity, representing the vulnerabilities and strengths born from increasingly diverse circumstances. Simplexity marks the relationships emerging from both expected and unexpected patterns. To represent this theme, we played with different shapes and patterns. Because all complex structure begins with a simple approach and many times simplicity is reached by filtering complex ideas. Keeping within the guidelines for TEDx branding, we developed series of patterns with red highlights and symbols for each team expertise.